We would like to sit down with you and your partner to take notes of your wants and needs at any of our offices. With the experience we have this will save you time and money. 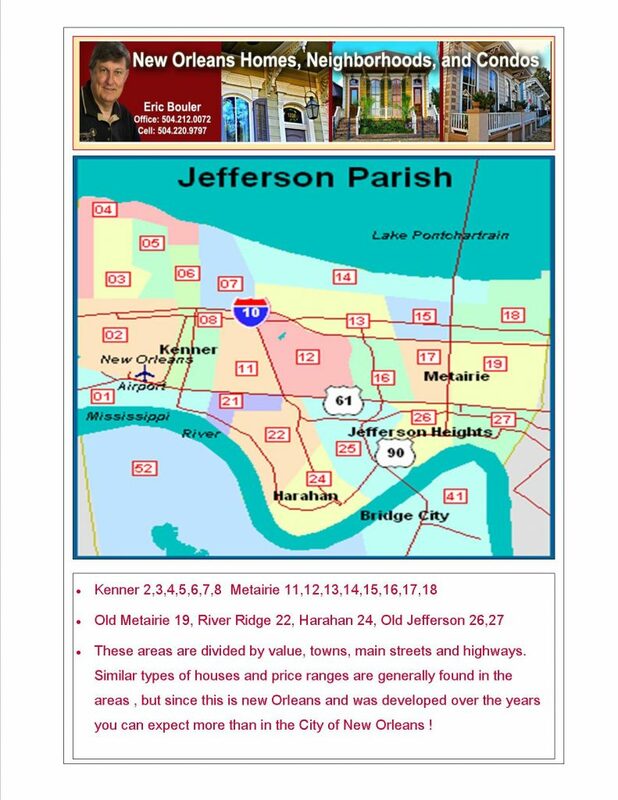 We have sold thousand of properties in the Metro New Orleans area. 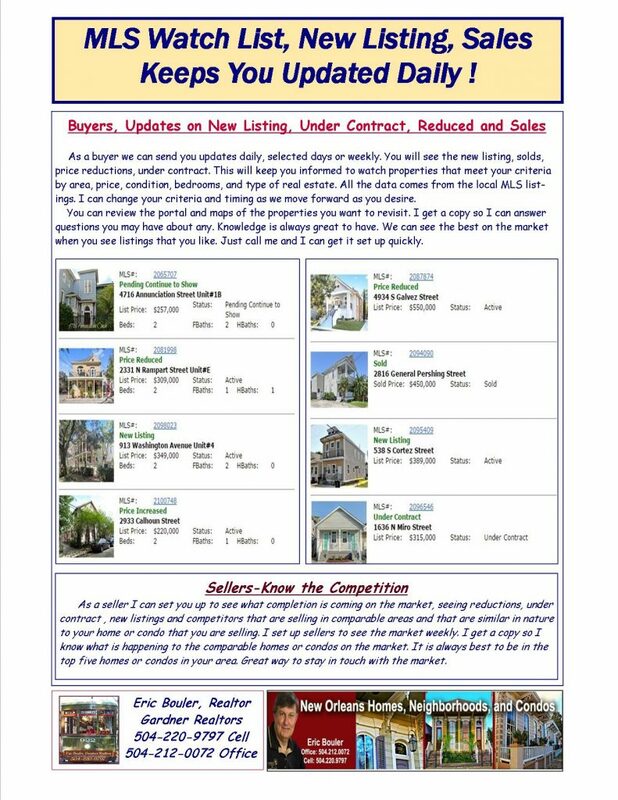 We have experience selling condos, single family and investment properties. We can use any of our offices to sit down and take notes on your needs. Two of us will show up at the first meeting to take notes on your desires. 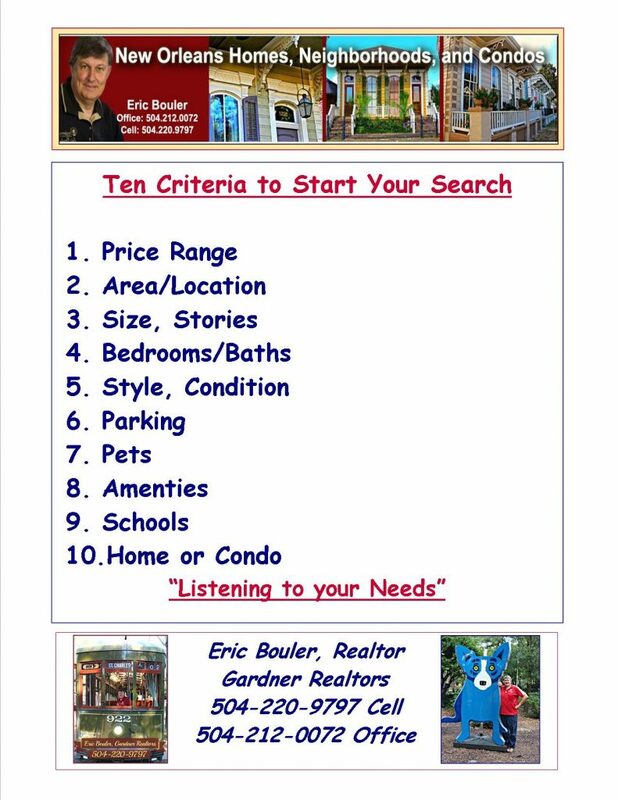 Once we know your criteria of what you are looking for by picking a price range, an area, bedrooms,styles then we can set you up on a watch list for new listings, sales and homes under contract. We can easily narrow it down to the best five homes for sale. Since both of us have sold hundreds of homes in these areas we know what each area is like. We can also set your search up on line before we meet. This way you can get some ideas and sure you will have some questions when we talk and meet. 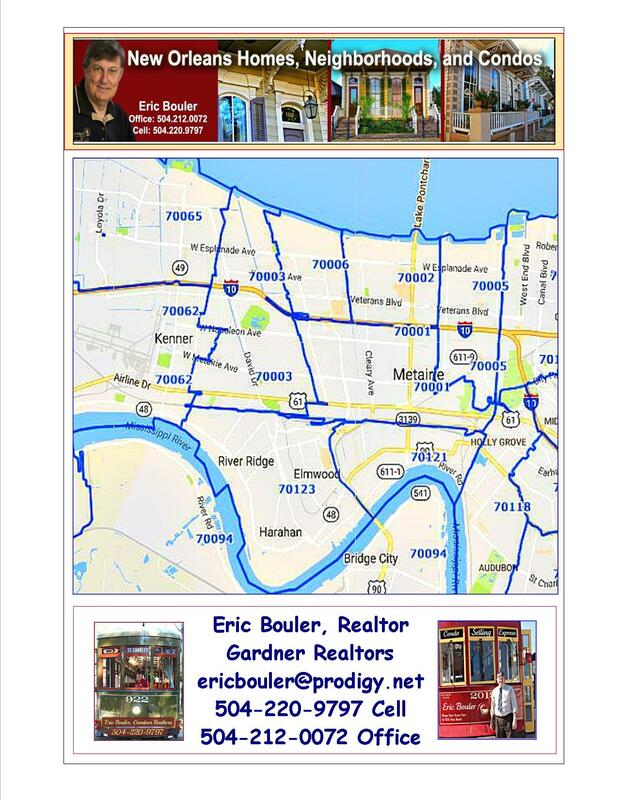 Eric and Patti would love to hear from you!